Dr. Abbott is certified by the American Board of Surgery and is a Fellow of the American College of Surgeons. He trained specifically in cancer surgery at The University of Texas MD Anderson Cancer Center. His clinical focus is on gastrointestinal malignancies, melanoma and sarcoma. He performs both traditional and laparoscopic resections for cancers of the liver, pancreas and stomach. As Director of Cytoreductive and Hyperthermic Intraperitoneal Chemotherapy (HIPEC) Surgery, Dr. Abbott is particularly interested in patients with peritoneal spread of appendiceal, colorectal and ovarian cancers. He is part of the UW Health Liver and Pancreas program. 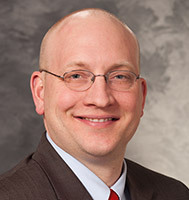 Dr. Abbott is active in a number of national organizations, including the Society of Surgical Oncology, the American Hepatopancreaticobiliary Association, the Association for Academic Surgery and the Society of University Surgeons.